In Veeam Backup and Replication 9.5 versions prior to Update 4, the password for the Microsoft Azure account used by the Direct Restore to Azure functionality can be found in the log in plain text. You want to assign the user account in Microsoft Azure Infrastructure as a Service (IaaS) for Veeam Backup & Replication’s Direct Restore to Azure functionality with the minimum of privileges in the Azure tenant. You first create a user object in Microsoft Azure Active Directory. The account is then ready for use. When you assign the user account in Microsoft Azure Infrastructure as a Service (IaaS) for Veeam Backup & Replication’s Direct Restore to Azure functionality with the minimum of privileges in the Azure tenant, using the steps outlined in Veeam KnowledgeBase article 2702, the password for the Microsoft Azure account can be found in the C:\ProgramData\Veeam\Backup\VeeamBackupManager.log file in plain text. This issue affects Veeam Backup & Replication 9.5 versions prior to Update 4. The issue is described in Veeam KnowledgeBase article 2886. The issue was addressed in Veeam Backup & Replication 9.5 Update 4. Veeam Backup & Replication 9.5 Update 4 was released in January 2019. The Direct Restore to Azure functionality was made available in March 2016. The guidance to assign the user account in Microsoft Azure Infrastructure as a Service (IaaS) for Veeam Backup & Replication’s Direct Restore to Azure functionality with the minimum of privileges in the Azure tenant was first released in August 2018. Please upgrade to Veeam Backup & Replication 9.5 Update 4. If your organization has configured the account for Direct Restore using the guidance in Veeam KnowledgeBase article 2702, or intends to do so on Veeam Backup & Replication 9.5 versions prior to Update 4, apply the necessary security measures for the log file. If your organization’s security principles allow you to edit or remove the log file, do so. 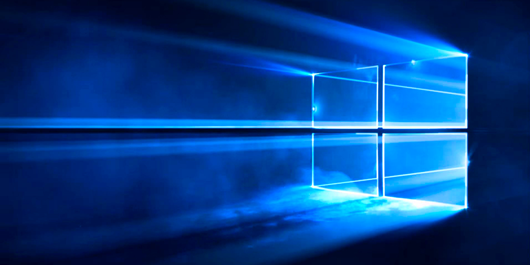 Windows Server 2019’s February 2019 Cumulative Quality Update, bringing the OS version to 17763316 , offers a fix for two authentication issues. Microsoft issues two major updates each month for Windows Server 2019, as outlined in the Patching with Windows Server 2016 blogpost. On the second Tuesday of each month (Patch Tuesday) Microsoft issues a cumulative update that includes security and quality fixes for Windows Server 2019. Being cumulative, this update includes all the previously released security and quality fixes. In the second half of each month (generally the 3rd week of the month) Microsoft releases a non-security / quality update for Windows Server 2019. This update, too, is cumulative and includes all quality and security fixes shipped prior to this release. KB4487044 addresses an issue that fails to set the LmCompatibilityLevel value correctly. LmCompatibilityLevel specifies the authentication mode and session security. KB4487044 addresses an issue that causes the Windows Hello for Business Hybrid Key Trust deployment sign-in to fail if Windows Server 2019-based Domain Controllers are used for authentication. That option is temporarily unavailable. For now, please use a different method to sign in. This issue is caused when Active Directory Domain Services (AD DS) activity tracing is enabled. In this scenario, a Local Security Authority Subsystem Service (LSASS) exception may occur in the Windows 2019-based Domain Controller when processing a user’s sign in. When you experience the above issue, you are invited to install Windows Server 2019’s February 2019 Cumulative Quality Update (KB4487044) on your Active Directory Domain Controllers to resolve them. Test the update to avoid any issues with this update. After installing this update, Internet Explorer may fail to load images with a backslash (\) in their relative source path and may have authentication issues. Windows Server 2016’s February 2019 Cumulative Quality Update, bringing the OS version to 14393.2828 , offers a fix for two authentication issues. KB4487006 addresses an issue that causes updates to a Relying Party Trust (RPT) to fail when using PowerShell or the Active Directory Federation Services (AD FS) Management Tools. This issue occurs if you configure a RPT to use an online federation metadata URL that publishes more than one PassiveRequestorEndpoint. MSIS7615: The trusted endpoints specified in a relying party trust must be unique for that relying party trust. KB4487006 addresses an issue that displays a specific error message for external complexity password changes, because of Azure Password Protection policies. Azure AD Password Protection for Windows Server Active Directory is used to prevent weak passwords being used in the organization using Active Directory Domain Services. When you experience the above issue, you are invited to install Windows Server 2016’s February 2019 Cumulative Quality Update (KB4487006) on your Active Directory Federation Services (AD FS) servers and Window-based endpoints to resolve them. Test the update to avoid any issues with this update. The cluster service may fail to start with the error “2245 (NERR_PasswordTooShort)” if the group policy “Minimum Password Length” is configured with greater than 14 characters. Yesterday, I received an e-mail from Rick Vanover from Veeam congratulating me with being selected for the 2019 Veeam Vanguard Program by the Veeam Vanguard team. For me, it means I successfully renewed my previous three Veeam Vanguard Awards, dating back to 2016. I still remain one of the three Dutch Veeam Vanguards. The full list of Veeam Vanguards will be available shortly here. Microsoft has introduced one-time passcode authentication (OTP) for B2B guest users who can’t be authenticated through other means like Azure AD, a Microsoft account (MSA), or Google federation. This new authentication method means that guest users don’t have to create a new Microsoft account. Instead, while redeeming an invitation or accessing a shared resource, a guest user can request a temporary code to be sent to an email address. Using this temporary code, the guest user can continue to sign in. 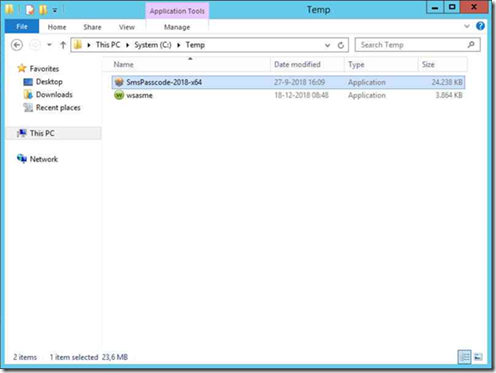 Sets the HTTPOnly flag on your Application Proxy access and session cookies. Turning on this setting provides additional security benefits, such as helping to prevent copying or modifying of cookies through client-side scripting. Microsoft recommends you turn on this flag (choose Yes) for the added benefits. Sets the Secure flag on your Application Proxy access and session cookies. Turning on this setting provides additional security benefits, by making sure cookies are only transmitted over TLS secure channels, such as HTTPS. Microsoft recommends you turn on this flag (choose Yes) for the added benefits. Prevents access cookies from expiring when the web browser is closed. These cookies last for the lifetime of the access token. However, the cookies are reset if the expiration time is reached or if the user manually deletes the cookie. Microsoft recommends you keep the default setting No, only turning on the setting for older apps that don’t share cookies between processes. For more information about the new cookies, see Cookie settings for accessing on-premises applications in Azure Active Directory. To keep your one-time passcodes, app information, and app settings more secure, you can turn on the App Lock feature in the Microsoft Authenticator app. Turning on App Lock means you’ll be asked to authenticate using your PIN or biometric every time you open the Microsoft Authenticator app. For more information, see the Microsoft Authenticator app FAQ. Privileged Identity Management (PIM) administrators can now export all active and eligible role assignments for a specific resource, which includes role assignments for all child resources. Previously, it was difficult for administrators to get a complete list of role assignments for a subscription and they had to export role assignments for each specific resource. For more information, see View activity and audit history for Azure resource roles in PIM. 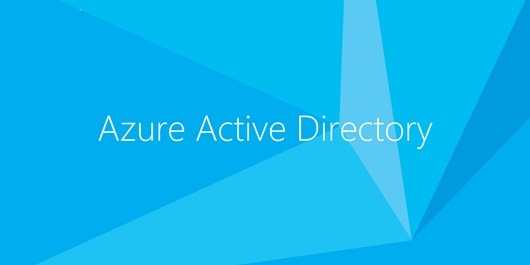 For more information about the enhancements, see What is Azure Active Directory Identity Protection (refreshed)? to learn more and to share your thoughts through the in-product prompts. Microsoft has heard and understood our frustration because of this fix. Therefore, Microsoft has reverted this change until such time that they can make the fix easier for admins to implement in organizations. Windows Server 2019’s January 2019 Cumulative Quality Update, bringing the OS version to 17763.292 , offers a fix for the issue you might be experiencing on your Windows Server 2016 and Windows Server 2019-based Domain Controllers. As we first encountered, reported the issue and then covered it here, we have all the details on this issue. The issue is with Windows Server 2016 and Windows Server 2019-based installations, that you want to promote for a new domain in an existing forest, that has the Active Directory Recycle Bin enabled. In this situation, creation of the domain fails. Active Directory Domain Services could not replicate the directory partition CN=Schema,CN=Configuration, DC=domain,DC=tld from the remote Active Directory Domain Controller FullyQualifiedDCName. This issue is caused by the Active Directory Recycle Bin optional feature being enabled and having update KB4464330 for Windows Server 2019 installed. If the Active Directory Recycle Bin optional feature is not enabled yet, the Active Directory Domain Services Configuration Wizard and Install-ADDSDomain are successful, as you’d expect. Back in October, when Windows Server 2019 wasn’t released yet, our advice was to uninstall KB4464330 for Windows Server 2019. Now, the solution is to install KB4476976. When you experience the above issue, you are invited to install Windows Server 2019’s January 2019 Cumulative Quality Update (KB4476976) on your Active Directory Domain Controllers to resolve them. Test the update to avoid any issues with this update. Today, I had the pleasure of installing and configuring the AD FS Agent that is part of CensorNet’s SMS PASSCODE product., version 2018 (version 10). Here’s how to perform this task yourself. 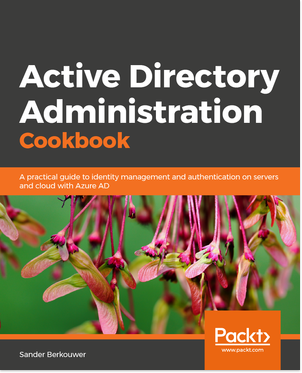 Active Directory Federation Services (AD FS) offers the Extensible Authentication Framework (EAF). Leveraging this functionality, multi-factor authentication providers can hook their products into the authentication funnel. Through an AD FS Agent, the authentication gets routed to the multi-factor authentication software, when an MFA claim is needed. Only when the multi-factor authentication software signals back that the multi-factor authentication was successful, will AD FS be able to successfully send a federation claim to the user. 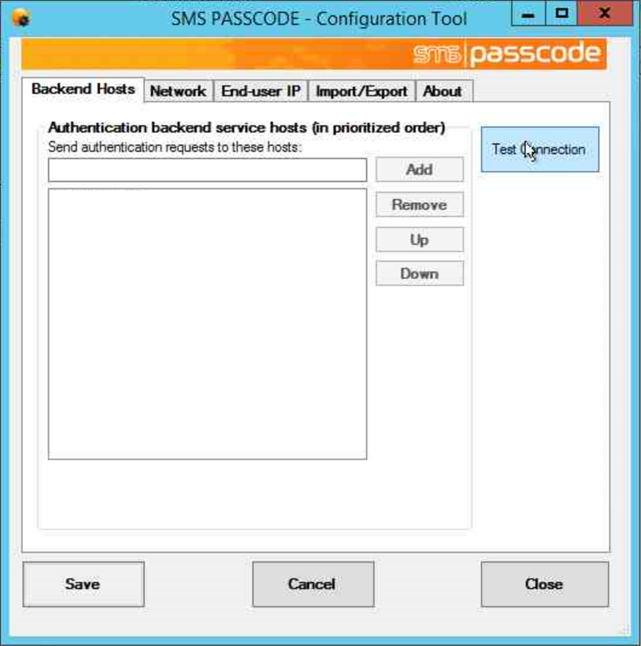 SMS PASSCODE is one of the oldest multi-factor authentication solutions in the market. Their solution, currently, offers one-time passwords (OTPs) in SMS text messages and through their SMS PASSCODE mobile app. The architecture of the product is to use a centralized authentication server, hosting the information for authenticating. Users can be imported into this server from Active Directory and other sources. Fail-over servers can be implemented to reduce the dependency on one server. Agents, called Client Authentication Protections, offer functionality like RADIUS connectivity and, as I’ll point out in this blogpost, AD FS connectivity through the Extensible Authentication Framework (EAF). 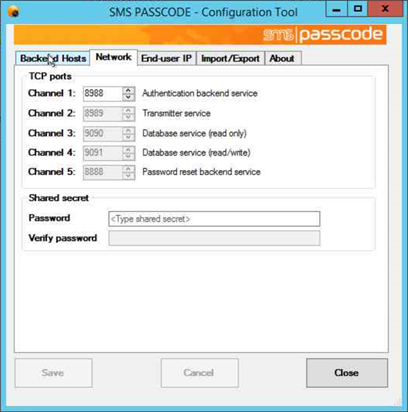 Implement the central CensorNet SMS PASSCODE server. 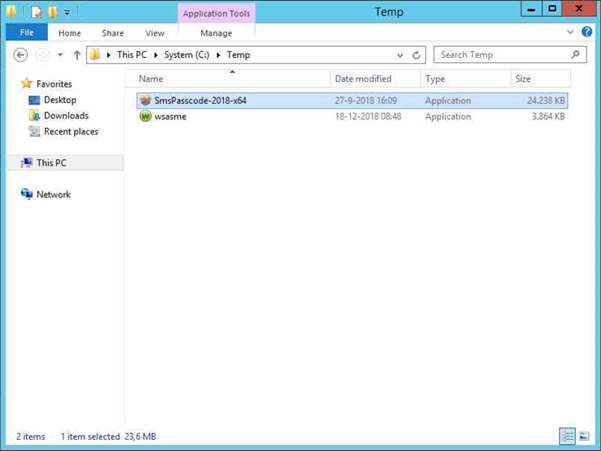 Copy the installation file for the server component to a file location that is accessible to the AD FS Server(s). Make sure users accounts are configured with appropriate authentication information. 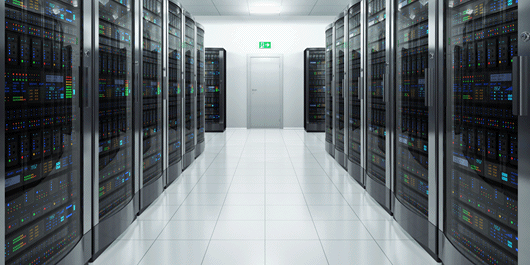 Log on to the AD FS Server(s) with an account that has privileges to manage Active Directory Federation Services. Make sure you run the last steps of this HowTo on the AD FS Server that is the primary server, when the AD FS Farm leverages the Windows Internal Database (WID) as the AD FS configuration database. Make sure the AD FS Servers are able to communicate with the centralized CensorNet SMS PASSCODE server over TCP port 8988. Web Application Proxies don’t need a connection to the server, though. 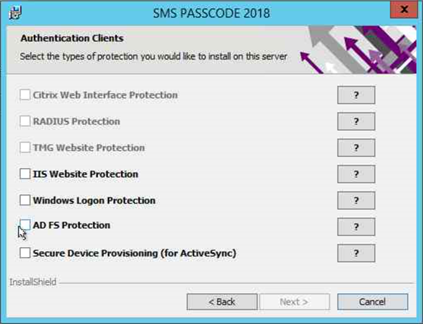 After installation and configuration of the SMS PASSCODE Client Authentication Protection for AD FS, the AD FS Servers need to be restarted. Make sure to plan this type of actions outside working hours, or have a fully redundant AD FS implementation. Log on to the AD FS server. 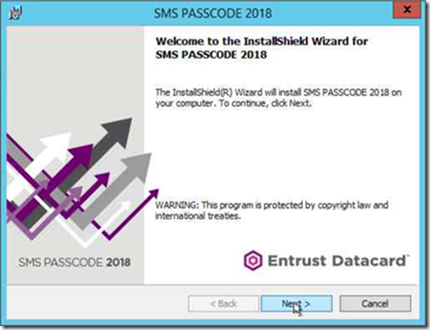 Locate the CensorNet SMS PASSCODE installation file. 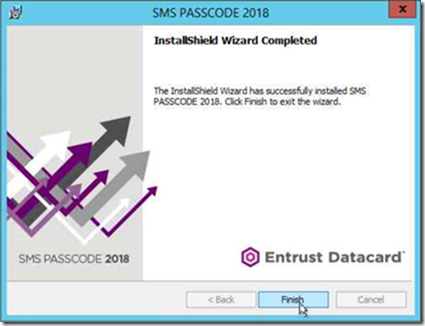 Double-click the SmsPasscode-2018-x64.exe installation file to start installing. 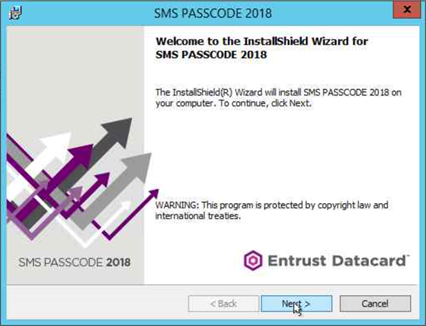 In the Welcome to the InstallShield Wizard for SMS PASSCODE screen of the SMS PASSCODE 2018 installer, click Next >. In the License Agreement screen, select the option I accept the terms in the license agreement. Click Next >. In the Installation Scope screen, only select the option to Install Authentication Client Protection and click Next >. The other option installs the central server component. In the Destination Folder screen, click Next >. to accept the default installation location: C:\Program Files\SMS PASSCODE\. In the Authentication Clients screen, only select the AD FS Protection option. In the Configuration Tool pop-up, click OK to acknowledge that all settings need to be checked and that installation continues after the configuration tool is closed. 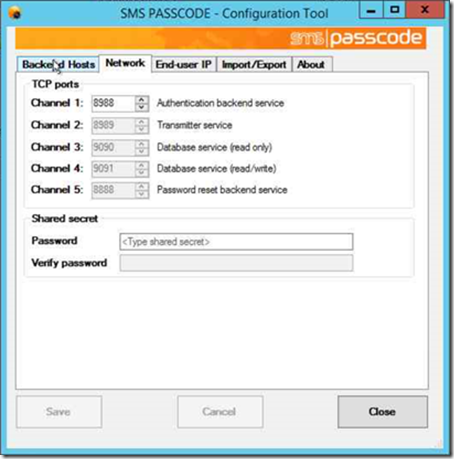 In the SMS PASSCODE – Configuration Tool, on the Network tab, specify the shared secret to communicate with the central server, twice. Click Save. Navigate to the Backend Hosts tab. On the Backend Hosts tab, remove the hostname of the AD FS Server (default) and enter the hostname of the central CensorNet server Click Save when done..
Click Test Connection. Click Close in the resulting screen. 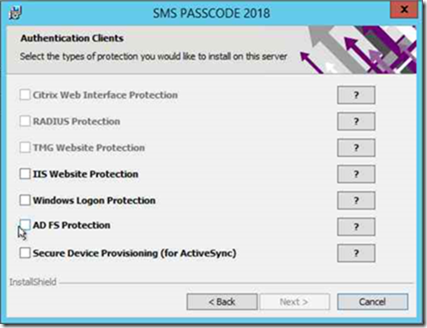 Click Close to close the SMS PASSCODE – Configuration Tool. 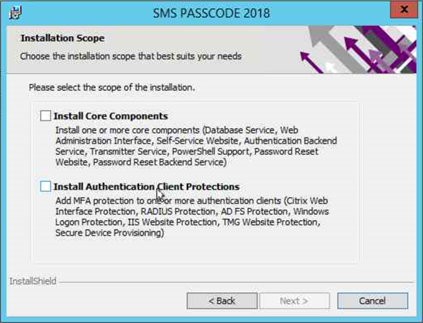 Back in the SMS PASSCODE 2018 installation screen, wait for the installer to complete. In the InstallShield Wizard Completed screen, click Finish. Perform the above steps on every AD FS Server in the AD FS Farm, before continuing with the steps below. Log on to the (primary) AD FS server. Open the AD FS Management tool. In the left navigation pane, select Authentication Policies. In the right task pane, click on Edit Global Multi-factor Authentication… link. 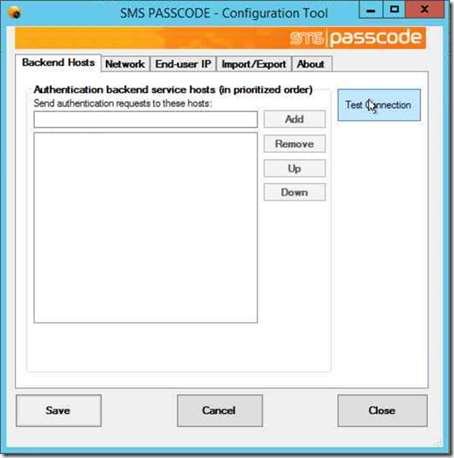 Select the SMS PASSCODE Authentication as additional authentication method. To enable authentication for all external authentication, also select Extranet. Alternatively, specify multi-factor authentication per Relying Party Trust (RPT). There is no need to configure additional settings, when the centralized CensorNet SMS PASSCODE server is configured with the default authentication policy, to allow Any. Using the the Extensible Authentication Framework (EAF) in Active Directory Federation Services (AD FS) makes enabling multi-factor authentication a breeze. There is no Windows Server 2019 Forest Functional Level (FFL) or Windows Server 2019 Domain Functional Level (DFL) in Microsoft Windows Server’s Active Directory Domain Services (AD DS). There are, apparently, no new features in Active Directory Domain Services in Windows Server 2019, that require a new Domain Functional Level. There are, apparently, no new features in Active Directory Domain Services in Windows Server 2019, that require a new Forest Functional Level. When upgrading or transitioning Active Directory from Windows Server 2016 to Windows Server 2019, the Domain Functional Level (DFL) and Forest Functional Level (FFL) do not have to be raised. This eliminates two steps of the process. When upgrading or transitioning Active Directory from Windows Server 2008, Windows Server 2008 R2, Windows Server 2012 or Windows Server 2012 R2 to Windows Server 2019, the Domain Functional Level (DFL) and Forest Functional Level (FFL) only need to be raised to Windows Server 2016. There is no way to limit the ability for Active Directory admins (for domains in an Active Directory forest) to install Windows Server 2016-based Domain Controllers in an environment with Windows Server 2019-based Domain Controllers. However, since Windows Server 2012, there is a way to limit promotions of Domain Controllers altogether. The unavailability of the Windows Server 2019 Forest Functional Level (FFL) and Windows Server 2019 Domain Functional Level (DFL), does not eliminate the step to update the Active Directory schema to version 88, using adprep.exe before Windows Server 2019-based Domain Controllers can be installed. 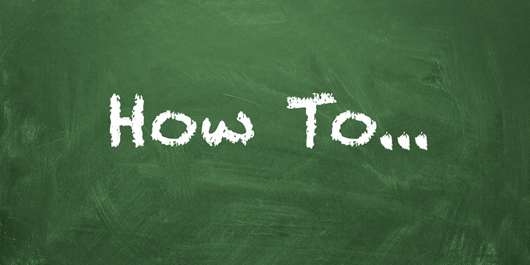 However, since Windows Server 2012, this step may be part of the promotion process of the first Domain Controller. In previous versions of Active Directory, each Windows Server version was accompanied by a corresponding Forest Functional Level (FFL) and Domain Functional Level (DFL). When upgrading Domain Controllers to newer versions of Windows Server or transitioning to Domain Controllers running newer versions of Windows Server, the functional levels would unlock new functionality on either the Active Directory forest or Active Directory domain level. Only when all Domain Controllers for an Active Directory domain would run the newer version of Windows Server, could an Active Directory admin raise the Domain Functional Level (DFL) to the version corresponding with the version of Windows Server. Only when all domains for an Active Directory forest would run the newer Domain Functional Level (DFL), could an Active Directory admin raise the Forest Functional Level (FFL) to the version corresponding with the version of the domains. Starting with the Windows Server 2008 levels, you can revert to lower Domain Functional Levels and Forest Functional Levels. The lowest level to return to are the Windows Server 2008 Forest Functional Level (FFL) and the Windows Server 2008 Domain Functional Level (DFL). Only when the Active Directory Forest Functional Level (FFL) is lowered to a lower version, can any Active Directory domains be lowered to a lower version of the Active Directory Domain Functional Level (DFL). 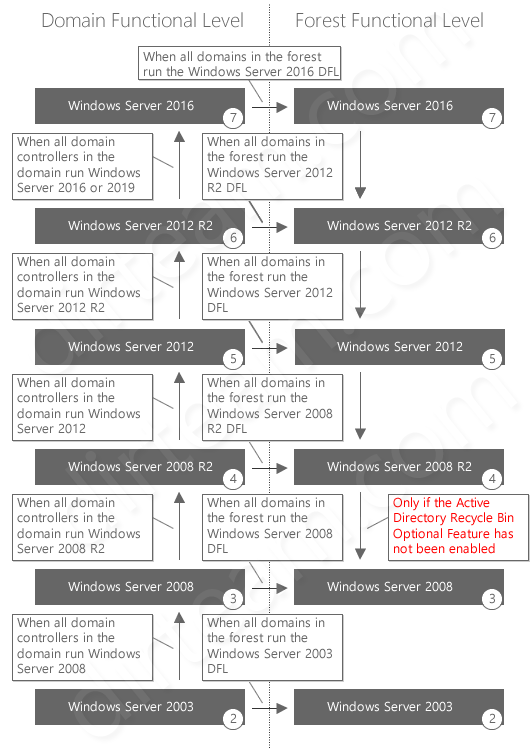 Only when the Active Directory Recycle Bin additional features is not implemented, can the Active Directory Forest Functional Level (FFL) be lowered from the Windows Server 2008 R2 to the Windows Server 2008 Forest Functional Level (FFL). The team has fixed a bug in which the DirSyncEnabled flag of a user would be erroneously switched to False when the Active Directory Domain Services (AD DS) object was excluded from synchronization scope and then moved to the Recycle Bin in Azure AD on the following sync cycle. As a result of this fix, if the user is excluded from sync scope and afterwards restored from Azure AD Recycle Bin, the user account remains as synchronized from on-premises AD, as expected, and cannot be managed in the cloud since its source of authority (SoA) remains on-premises AD. Prior to this fix, there was an issue when the DirSyncEnabled flag was switched to False. It gave the wrong impression that these accounts were converted to cloud-only objects and that the accounts could be managed in the cloud. However, the accounts still retained their source of authority (SoA) as on-premises and all synchronized properties (shadow attributes) coming from on-premises AD. This condition caused multiple issues in Azure AD and other cloud workloads (like Exchange Online) that expected to treat these accounts as synchronized from AD but were now behaving like cloud-only accounts. At this time, the only way to truly convert a synchronized-from-AD account to cloud-only account is by disabling DirSync at the tenant level, which triggers a backend operation to transfer the source of authority (SoA). This type of SoA change requires (but is not limited to) cleaning all the on-premises related attributes (such as LastDirSyncTime and shadow attributes) and sending a signal to other cloud workloads to have its respective object converted to a cloud-only account too. The team is currently publishing both the Audit and Sign-in log streams through Azure Monitor, so admins can seamlessly integrate the log files with Security Incident and Event Monitoring (SIEM) tools or with Log Analytics. Based on feedback, and in preparation for this feature’s general availability (GA)announcement, the team is making changes to the schema. These schema changes and its related documentation updates will happen by the first week of January. Improvements to the Identity Protection-related user and sign-in risk assessment engine can help to improve user risk accuracy and coverage. Administrators may notice that user risk level is no longer directly linked to the risk level of specific detections, and that there’s an increase in the number and level of risky sign-in events. Risk detections are now evaluated by the supervised machine learning model, which calculates user risk by using additional features of the user’s sign-ins and a pattern of detections. Based on this model, administrators might find users with high risk scores, even if detections associated with that user are of low or medium risk.